Standard CharteredStandard Chartered Chief Executive Bill Winters. 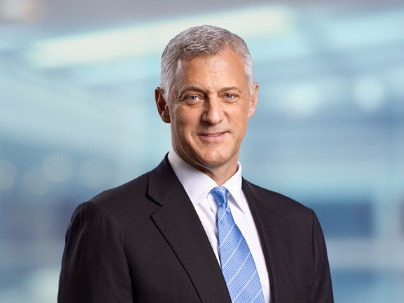 Standard Chartered CEO Bill Winters delivered an “angry” address of the bank’s 1,500 managers for recent misconduct, including complacency and lax controls, according to an interview with the Financial Times. “Frankly they are childish things and individually they don’t add up to material financial exposure for the bank, but culturally they are a cancer,” he added. Standard Chartered mostly operates in the Middle East, Asia, and Africa, which helped it weather the 2008 financial crisis, the Financial Times says. But recent fines from US regulators and losses on loans from a downturn in the Asian economy and commodity markets has hit the bank hard. “We had incidents of relatively senior people using bad judgment or taking actions that with the benefit of any sort of rigorous review would be unacceptable,” Winters said. Standard Chartered reported a profits drop of 65% last April, with pre-tax profits hitting $539 million ($762 million) in Q1, compared to $1.5 billion ($2.1 billion) over the same period a year ago.